Pretend that you live in an imaginary city in America. The city's sleek and sophisticated, full of young professionals and has a booming tech/creative sector. It’s surrounded by beautiful countryside. By night, it has a glowing historic downtown, its plazas full of music and life. By day, you can knock yourself out with shopping choices, from the budget to budget-breaking. The weather is near-perfect year round. Let's elaborate on the fantasy. Saturday night at downtown's plaza and the Guadalajara Cathedral. To rent an apartment in this city costs about $1,300 a month for the toniest, high-rise apartment in the trendiest commercial district. Or you could choose an apartment for substantially less (around $800) in a quiet, yet still very lovely neighborhood, all with 24 camera surveillance and roving security. On the weekend, you may invite a friend to dinner at a nice restaurant for about $30 (for two). Once in a while, you might take in a first-run movie in a luxurious, spotless theater, where you sit in lounger seats with table service for $10 or you can go to a regular theater (no subtitles) for about $3.50. You work out at the nicest gym you’ve ever joined (in one, each piece of equipment has a button on to push if you need assistance) for $25 a month. Your Uber ride to any concert, play, ballet or museum probably costs less than $5 if you don’t want to drive or you can take public transportation, which is also readily available. (You need only check your Moovit app for the route). Tickets to any of these cultural events might cost $20. Wasn’t that a fun fantasy? Of course, such a place does not exist in the United States. It only exists in Guadalajara, Mexico. 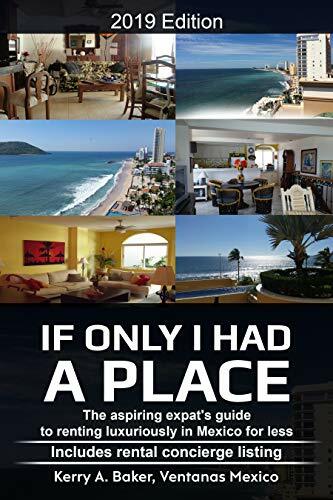 If you are in your 30’s, working remote and making $70,000 or more in the United States, you need have a talk with your boss, pack a single suitcase and immediately board a plane to Guadalajara. Here you can live a $150,000-a-year lifestyle and still have some left over to save and invest in your 401(k). This video is by such a digital nomad in Guadalajara, sharing the realities of his life in Guadalajara, including safety in the city. Co-working buildings are popping up and he directs you to the ones he likes, helpful if you want to work remotely and not be isolated in an apartment all day. The really great news is that they only run about $100 a month, a fraction of what co-working co-ops cost in the U.S.
There’s a fresh smell in the springtime air of Guadalajara. It’s the smell of money. Once known by tourists as the birthplace of tequila, hot sauce, and mariachi, the state of Jalisco, where Guadalajara is located, has become’s Mexico’s Silicon Valley. The city (and our country) is investing in the momentum, creating a technology industry already worth $21 billion. With direct flights to all the major U.S. hubs, going to and from is no more difficult than going from San Fransisco to New York. In fact, Guadalajara is closer to San Francisco than New York is. Fifteen major American companies (Oracle, HP, IBM among them) and 66 smaller, mostly start-ups, operate in Guadalajara. These companies are encouraged by the solid infrastructure that Guadalajara has worked over two decades to build, like fiber optic capacity to expand internet access. The city has a steady supply of talent from the state of Jalisco’s 25 universities and 62 technical colleges, which pump out 10,000 thousand engineers a year. Guadalajara is nothing like what even the locals remember from a decade ago. Lively, stylish bars, and restaurants matching anything you’d see in the U.S. line wide leafy avenues like Avenida Guadalupe. Throngs of people listen to free concerts in the two-block-square plaza in front of the Gothic Guadalajara Cathedral downtown and enjoy a traditional Mexican evening of strolling, people watching and shopping for arts and crafts. The young and affluent gravitate to the area around the Plaza Commercial Andares, which is one big fashion show, men and women alike. The area thumps with excitement and youthful energy. Yet Guadalajara manages to remain a city where people feel safe. You can walk at night in any of the neighborhoods you might logically find yourself. People follow the rules. Police and security personnel are omnipresent in the popular neighborhoods. The city atmosphere strikes the perfect balance between the more formal civility that is a natural by-product of success and the cultural warmth that no Mexican city can suppress. Its downtown and major plazas remain traditionally Mexican, with its music, mariachi, and artesanal vendors. The city has its hipster zones as well as Mexico's renowned local open markets, like Mercado Libertad. Even if you’re past your career-building years, the energy and enthusiasm is contagious. No matter your age, living in a city on the move is rejuvenating. If you’re a big city person considering a retirement in Mexico that is also affordable, Guadalajara unquestionably would be your choice. You can have it all in Guadalajara, because they now have Uber Eats. Why you should be working remote now, before you ever move abroad. More on Guadalajara's boom (in Spanish) by El Pais, one of Spain's major newspapers. For a visit, two articles on things to do, one with highlights, one geared toward the businessmen. Next up: Am I strolling a neighborhood in Southern California? Nope, just an affluent area in Guadalajara. Most recent: Studies have shown that people are happier when they spend $50 on having someone do something they don't like, rather than on a material good. So why don't you in the U.S. and why would that change in Mexico? 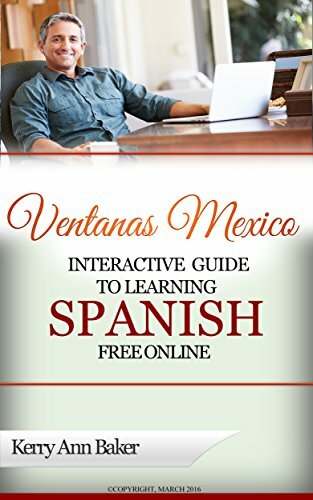 I'm Kerry Baker, a partner with Ventanas Mexico and author of the "Interactive Guide to Learning Spanish Free Online," a curation of the best free language tools on the web. The guide is interactive, providing links to the best free sites and features on the web, the ones you'd never find in a Google search. The guide is to be used with a laptop, tablet or e-reader. Personally, I study and do everything thing else from my beautiful Acer Aspire. Recommended by my computer pro Vasif, the Aspire is lightweight, thin and well worth the investment if you're considering a two-country lifestyle.